Returning to a home without a single piece of bread, a loaf, or a baguette is a sad state of affairs. The freezer was empty of frozen bread, so I set to work. It was time for cornbread. I had always secretly adored Jiffy corn muffins growing up, the sweet yellow crunchy bread absorbing butter like a sponge. Halfway between a dessert and a bread…just my thing! 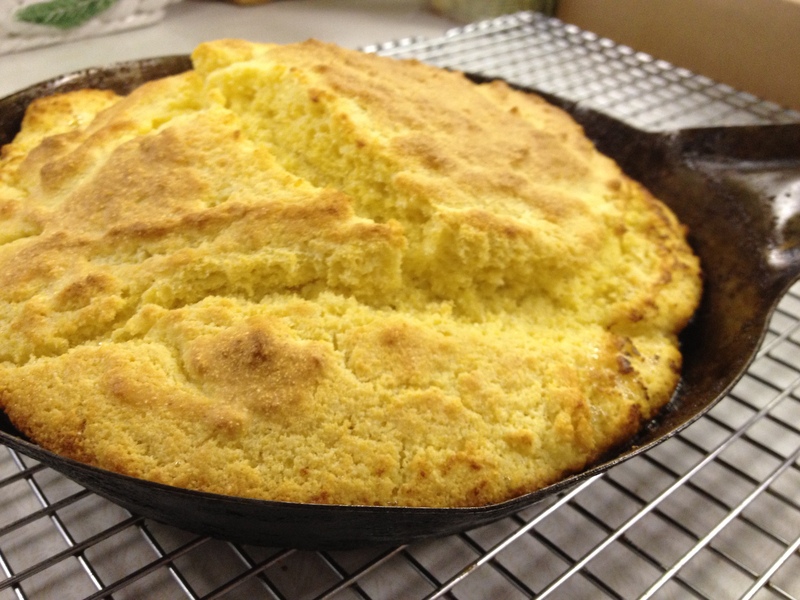 I have made many variations of cornbread since those early years, but I had always had a hankering for a good old-fashioned Southern skillet cornbread. It’s not too sweet, but it’s flavorful and crusty. It is best the first day, but refrigerated can last a little longer. I customized such a recipe from several existing ones, and pull out my trusty metal skillet, a $5 estate sale find that can go from stovetop to oven. Bread is ready in under 30 minutes from your oven- fresh, hot, and ready for some unsalted butter. Tastes great with stewed beans, zucchini, etc. cooked Southern-style with some good bacon or country ham. Simply drizzle in a little vegetable oil in the pan, and add several tablespoons of butter. Heat in a 425 degree oven and watch carefully so as not to burn the butter. 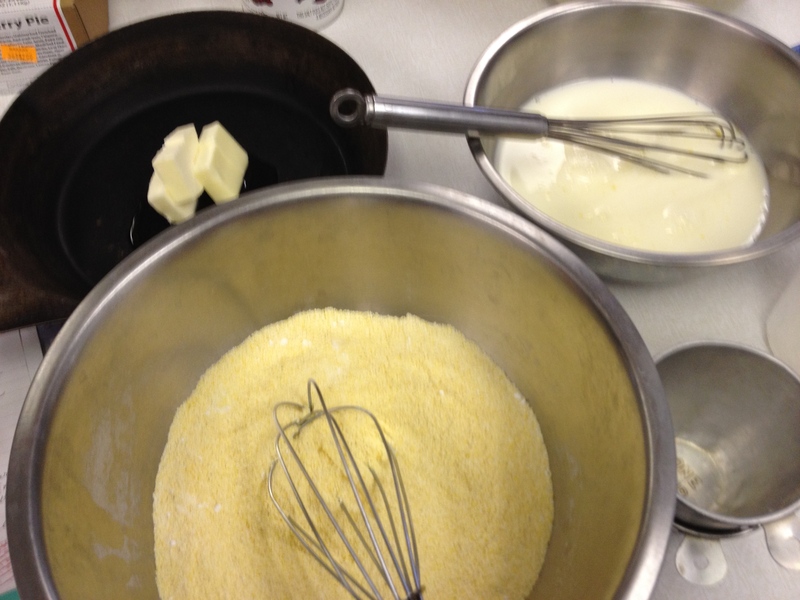 Mix dry and wet ingredients together. Pour into metal skillet with melted butter/oil mixture. Pour a bt of butter that rises on the sides on the top of bread. Bake for 20-25 minutes until golden brown and tester inserted in center comes out clean. Enjoy!